Signing a full contract for Hull City in June 1950, after playing for their junior teams, Whitnall made just two league appearances for the Boothferry Park club, even though he stayed at the club for six years. He signed for Scunthorpe United in May 1956, but once again, only played two games, before moving on to Exeter City in July 1958, where had a much better time of things in terms of league appearances. 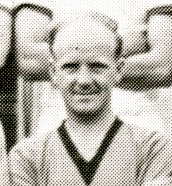 He made is Grecians’ debut against Gateshead at St. James’ Park in April 1959. 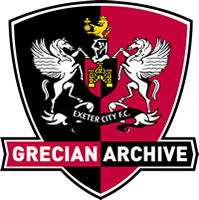 Although released in May 1960, Exeter re-engaged him two months later and he stayed for a third season. Many players took jobs during the summer months and Whitnall worked as an ice cream seller at the Devon County Show in Exeter at one time. On leaving Exeter in the summer of 1961, Whitnall signed for Southern League, Bath City. He then played for Taunton Town before signing for Clyst Valley in April 1966.